Science and storytelling do not always go hand in hand. Jargon, data, complicated schematics and figures, if not properly understood, can fail to engage those audiences that scientists most need to champion their causes. 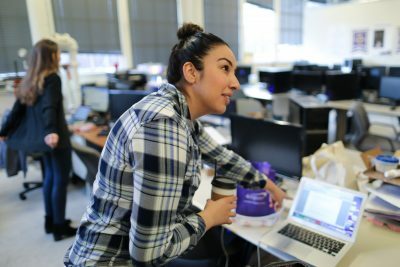 Driven (pun intended) to test her talents as a communicator, Cristal Carrillo recently joined the University of Washington’s EcoCAR 3 team. Sponsored in part by The U.S. Department of Energy, the national competition is an opportunity to highlight the UW’s commitment to sustainability, as well as Cristal’s storytelling skills. Why did you want to study Communications? “I chose COM as my major as an alternative degree. I had originally decided on nursing before I transferred to the UW, but I was unable to pursue it due to a health diagnosis. I then had to consider my hobbies, because I wanted to find a career that aligned with what I enjoyed. My initial perception of Communications as a field was just as a way to learn about how we interact as individuals. However, after my first course, I realized that COM is far more complex, which really intrigued me and made me want to pursue it as a career. During my time with the Department, I was able to learn COM while also learning about different cultures and the global impact of the industry. 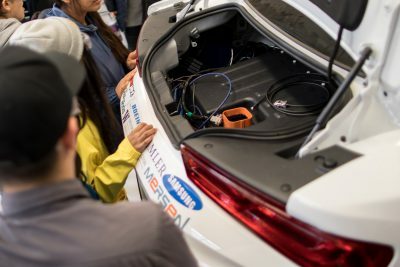 What is the EcoCAR 3 project? 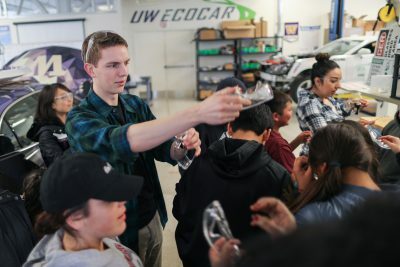 “The University of Washington is one of 16 national teams that was selected for the EcoCAR 3, the latest cycle of Advanced Vehicle Technology competitions (AVTC) sponsored by General Motors and The U.S. Department of Energy and managed by Argonne National Laboratory. EcoCAR 3 embodies the ingenuity of automotive and related industries with highly skilled engineers, project managers and communicators. 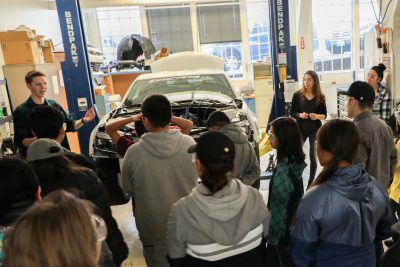 The four-year competition demands collaboration among students, faculty, and mentors to design and build an eco-friendly Chevrolet Camaro, while maintaining commercial quality, energy efficiency, and consumer appeal. What attracted you to the EcoCar 3 project? What have been some of the challenges and rewards of working with a multi-disciplinary team?